WOW! 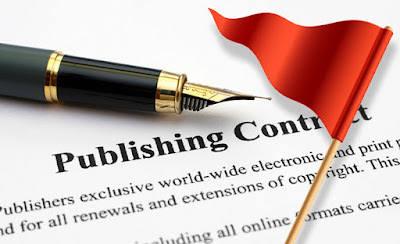 Women On Writing Blog: Publishing Contracts: What Are Some Red Flags? I am writing to ask your advice. I seem to have been offered a publishing contract for one of my novels. 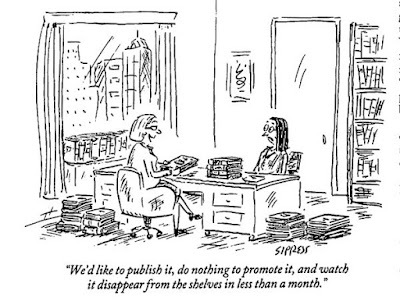 Carol’s concern was whether or not the publisher is a vanity publisher. I found the clause she mentioned, stating that the author receive one free copy of her book, with the option to purchase additional copies of the book at a discount (however, it was not a requirement). If the author were required to purchase copies of her own books, then yes, it would be a red flag and what the industry calls a “back-end vanity publisher”—one that may not necessarily require an upfront fee to produce the book, which is one of the defining traits of vanity publishers, but one where you pay at the end of your publication process. But only one free copy? Many publishers provide at least ten free books (if not fifty!) to the author. Carol was also concerned that they accepted a manuscript she thought was less polished than her other novels. Typically, vanity publishers don’t have any selection criteria and will accept every manuscript that comes their way as long as the author is willing to pay for the publication. The fact that this publisher rejected her previous manuscripts is a good sign that they were using some kind of vetting process. Plus, there were no upfront fees or backend fees that were a requirement in the contract, so I would say they were not a vanity publisher. However, as I read through the contract, there were other concerns. So I put together a list of topics that she should discuss with the publisher before signing on the dotted line. I thought it would be helpful to share some of that with you today. In Carol’s contract, the publisher wanted Exclusive Rights for two years, which included all languages in all countries, in book form, as well as exclusive rights to negotiate the sale of motion picture, dramatic, radio, television, and other fields. Typically, you want to grant specific rights (e.g., book publication, not motion picture or TV), and carefully consider what languages and territories you are granting to your publisher. Why? Here’s an example: Let’s say Carol lands an agent, and that agent finds a buyer and negotiates a movie deal for the book under the publisher’s contract, but since the publisher owns exclusive rights to that book, the publisher will get the final say and will be making money from the sale of these rights, whether they did any work on the deal or not. That’s less of the pie for Carol. Plus, why should the publisher be making money off that sale when they didn’t do anything? So the ideal situation is to grant “nonexclusive rights” to the publisher and negotiate specific rights they’ll use, and reserve all rights not specifically granted. The publisher listed a percentage of royalties based on how many copies sold, but the percentage of the commission was based on the “net.” Ideally, you’ll want the royalties to be a percentage of the “cover” or Suggested Retail List Price (SRLP) of the book. The “net” is tricky language because publishers sell books to retailers at roughly 50% of the list price, so since Carol’s contract says she’ll make 20% commission, she’ll actually be making 10% or less of the cover price. Either take this into consideration or negotiate for a percentage of the “cover” price. Every manuscript needs editing, and it should be the publisher’s responsibility. The editor should also be certified and have worked in your genre. There should be information about their editorial process, what the correction process entails, and whether the author’s consent is required before any significant changes are made. So if the author wants to add anything to her manuscript after she signs this contract—even though the novel hasn’t been edited yet—she will have to pay for it? Now it’s beginning to sound like a vanity publisher because of all these clauses that leave room for error, holding the author responsible financially while protecting the publisher. I’ve seen shady publishers put unedited books out there in hopes of making money from the author promoting herself—because it basically costs the publisher nothing to upload a book to online retailers and no upfront fees for print-on-demand (POD). It would cost you nothing as well, so you want to look for a publisher that is bringing something significant to the table since you are leasing the rights to your baby. So legally, they don’t have to do anything to promote her book. And without marketing there are no book sales. You don’t want to see this in a contract, and in most reputable publishers, you won’t. It’s a justification for failure and may be a sign that they won’t be doing any marketing at all. Yeah, as an author you’re going to want to do those things anyway, but it’s a written requirement for the author, whereas the publisher isn’t legally obligated to market the author’s book. 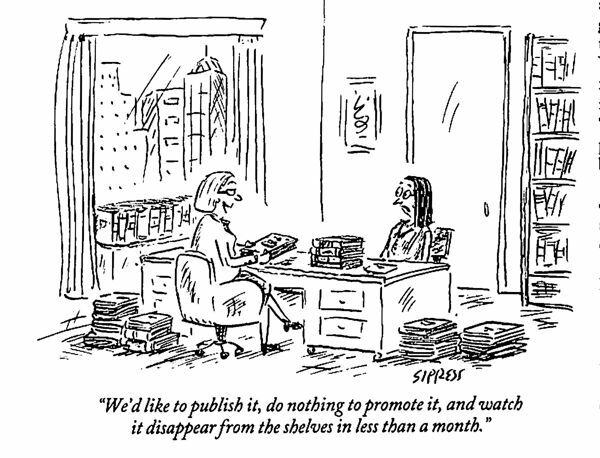 Ask your publisher how they plan to market your book. Also, look at their other titles in your genre and see how those books are selling. I looked at Amazon sales of this publisher’s books, and the fiction sales were pretty low. However, some of their nonfiction titles had decent sales. So in Carol's case, it would be wise to contact some of the authors and see what their experience was like working with this publisher. Carol’s contract didn’t include a termination clause. You’ll want to have this included in case things go south with the publisher, so you can retain your rights and walk away. Another good thing to know is what happens to your rights when the book is considered out of print. These are only some of the things Carol needs to consider. There are many questions you should ask and I found a handy book contract checklist written by a publishing attorney. So when the happy day comes and you receive a publishing contract, remember that you are in the driver’s seat and you can negotiate. Ask as many questions as you can and consult a publishing attorney. You can also join organizations like The Authors Guild and receive contract advice with your membership. Remember, the more detail in the publishing contract the better, because in most cases, and Carol’s contract stated this, if it’s not in the contract and is a verbal agreement, then it doesn’t legally exist. Do you have any advice or experiences with publishing contracts? If so, please leave a comment below! Angela Mackintosh is publisher of WOW! Women On Writing. A supporter of fellow writers, she maintains that every writer featured on the WOW website retain copyrights to her own work. So thorough and helpful, Angela! I feel like this could be a book! Thanks for your comments, ladies! And for everyone that wrote in via feedburner email, too. I'm happy to report that Carol has put together a detailed list of questions to ask her publisher and has arranged for a phone interview. I'm hoping that it will start negotiations. It's tough when you don't have an agent, but she's doing a great job with research and asking people in her network. Angela, great information. 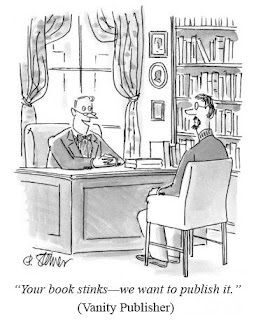 It is difficult sometimes to determine if a publisher is reputable or not. This article gives lots of great details and tips! I wanted to provide a final update on this issue. Carol ultimately declined to go with this publisher. After speaking on the phone, she was able to negotiate some rights, like keeping film & TV rights in exchange for a lowered foreign royalty percentage (which didn't really make sense to me), but the publisher admitted that they would NOT provide any editing for the book. So the book would be published as is, minus any typos, and the marketing responsibility would fall on the author's shoulders...it was unclear if the publisher would do any marketing. Carol also took a look at the publisher's other titles and saw the abysmal book sales, which helped make her decision. So, if you see any of these terms in a potential contract, you may want to run! Consider taking your project to another publisher because these terms are very close to a back-end vanity publisher.